What is a typical treatment like? 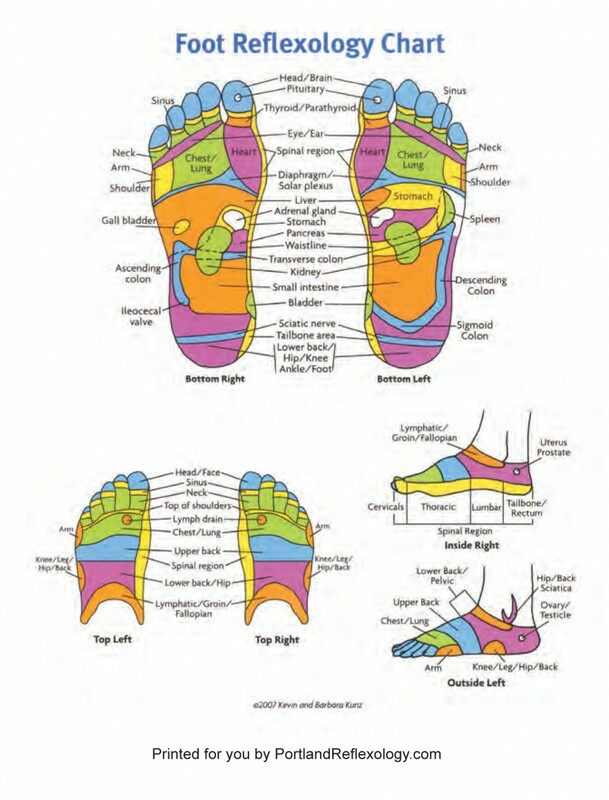 The whole reflexology experience is a gentle, soothing, relaxing process. From the moment you walk in the door, the calm begins. There is always an intake where you talk and I listen to what brings you to this session. Some come because of a bunion or heel pain. Some come because they want an hour off from the stresses of their lives and we’ll talk about where they carry their stress. In the session room, you’ll hear gentle music. And you’ll lie on a warmed massage table fully clothed. Your feet are cleaned. We may talk briefly at the beginning of the session or not at all. It all depends on you and what you need. Sessions usually last an hour. Because I’m a massage therapist as well, if you would like extra support on your arms, legs, neck, head or shoulder, I can use compression and other traditional massage strokes to sooth those tired or tight muscles. Together we create a healing environment in which you can set aside the burdens of the day and just relax. Many people close their eyes and rest. Some drift off completely. At the end of the hour you return to your day--renewed and refreshed. It's important to take a break and allow our stress to subside. Reflexology provides this opportunity, helping us remember what it feels like to feel good. 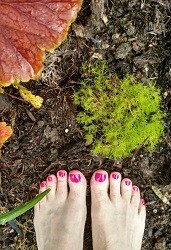 I have been having reflexology from Nancie for 6 months now. Nancie is so skilled not only at the technical aspects of her work, but also in making her clients feel welcome and relaxed. She is passionate about what she does and is very customer service oriented. I always feel so relaxed for days after a treatment with her! She is a gifted practitioner and I can't recommend her highly enough. Furthermore, I have sent others to her with similar results.